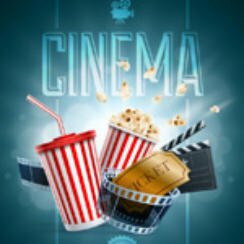 It’s that time of the week when we take a quick look at what movies are hot at the UK cinema, these figures are for UK Cinema Charts September 29 2017. Three new entries make the cinema top 10 this week, however none of them make the top three. Goodbye Christopher Robin, Flatliners & Home Again enter in fourth, fifth and sixth place respectively. Flatliners manages a rather poor £486,721 which we no doubt upset Sony Pictures. A look at the top three shows no change from last week meaning Kingsman: The Golden Circle stays at number one followed by IT and Victoria and Abdul. A couple of films exiting the top ten this week are Christopher Nolan’s Dunkirk, which drops to 12 and the Tom Cruise film American Made falling to number 15.